A unique Israeli national culture—indeed, the very nature of "Israeliness"—remains a matter of debate, a struggle to blend vying memories and backgrounds, ideologies and wills. Identifying popular music as an important site in this wider cultural endeavor, this book focuses on the three major popular music cultures that are proving instrumental in attempts to invent Israeliness: the invented folk song repertoire known as Shirei Eretz Israel; the contemporary, global-cosmopolitan Israeli rock; and the ethnic-oriental musica mizrahit. The result is the first ever comprehensive study of popular music in Israel. 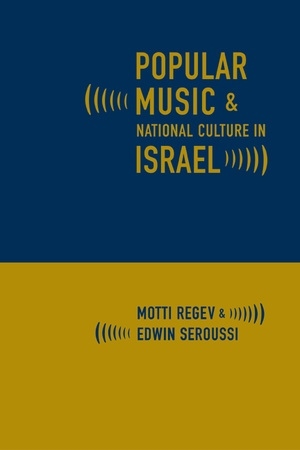 Motti Regev, a sociologist, and Edwin Seroussi, an ethnomusicologist, approach their subject from alternative perspectives, producing a truly interdisciplinary, sociocultural account of music as a feature and a force in the shaping of Israeliness. 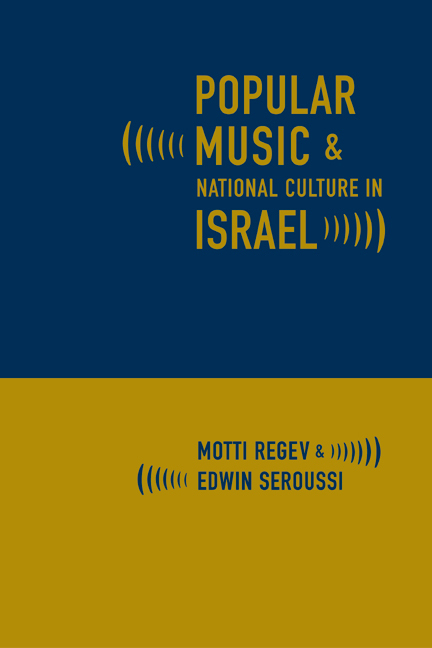 A major ethnographic undertaking, describing and analyzing the particular history, characteristics, and practices of each music culture, Popular Music and National Culture in Israel maps not only the complex field of Israeli popular music but also Israeli culture in general. Motti Regev is Senior Lecturer in the Department of Sociology at the Open University of Israel. He is the author of Rock: Music & Culture (1995) and Oud and Guitar: The Musical Culture of the Arabs in Israel (1993). Edwin Seroussi is the Emanuel Alexandre Professor of Musicology and Director of the Jewish Music Research Centre at the Hebrew University of Jerusalem.